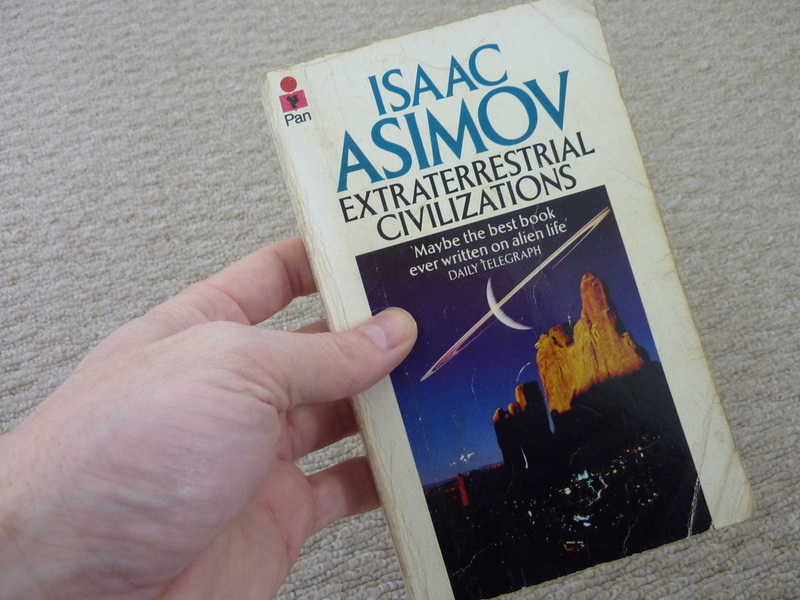 This is one of the first Asimov books I read - and the basis for my 'Statistics GCSE' at Poole Grammar School in 1989! 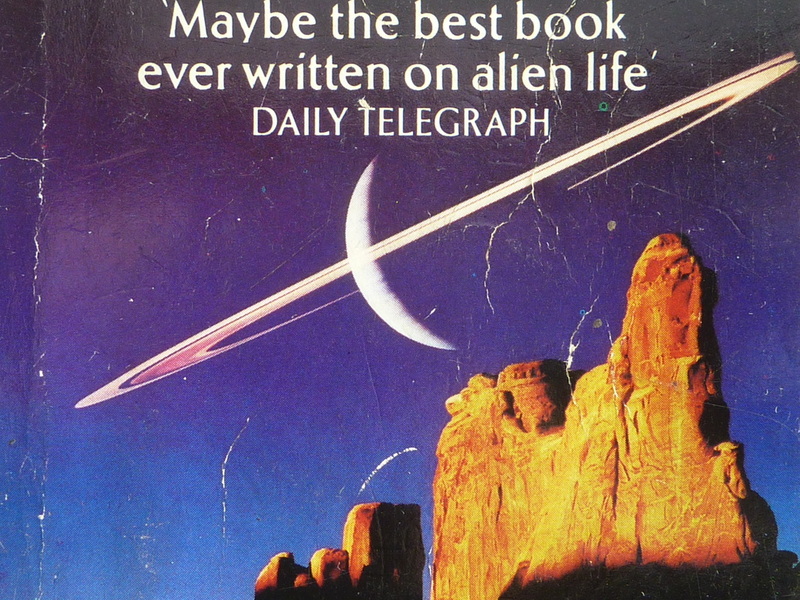 I bought it for 2p (yes two pence) at a book sale in Seldown School in 1984. Quite certainly the best two pence I have ever spent! 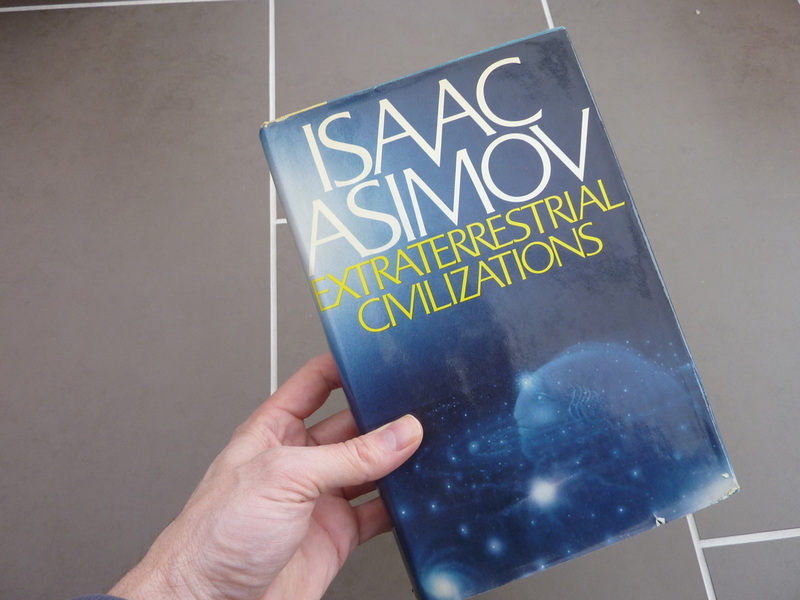 In this book, Isaac attempts to work out how many intelligent civilisations there might be in our Galaxy. 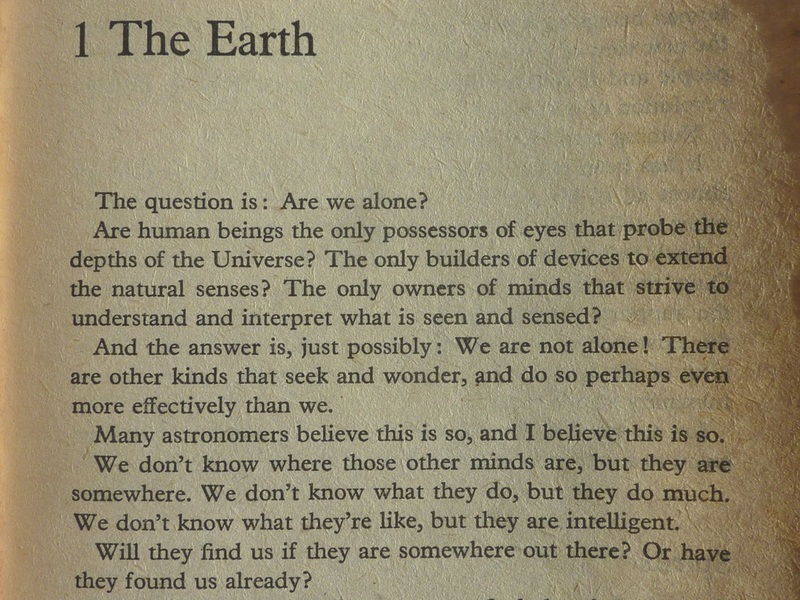 The book is of course, wide open to debate because there are so many variables on which Asimov bases his assumptions. But then, this is his book and they are his guesses and assumptions. As a matter of fact, I totally disagree with the number of civilisations he actually comes up with at the end of the book. But for me, that isn't really the point of reading this book. The book is very enjoyable in its own right, through the journey he makes to arrive at his number. I think that all of the criteria he brings into question are still relevant. It is just the numbers at the end which I think really, are almost arbitrary. The image above shows the opening section of the book. Quite possibly the greatest questions we could ever hope to answer! My own particular thoughts on this question are a little more sobering that Isaac's. Although my ultimate answer is the same as his, ('No. We are not alone!') - I do think that intelligent life in our Galaxy is exceedingly rare. I think that there might, just might possibly be one other technological civilisation besides us, in our Galaxy right now. Isaac thinks the number is far, far greater. What do you think? Personally, I have a feeling that advanced life is very, very rare indeed. It's just my opinion, but there you go. I also have a copy of this book in hardbook. The image above is my edition. My axiom: If you love a book, you should have it in both paperback and hardback. One for travelling with and one for the bookshelf! I love hardbook editions, they are also easier on the eyes when reading late at night and you can prop them up nicely against a pint glass or other such object! Since the early 1990's when scientists first discovered and proved that there were indeed other planets circling other stars ('extrasolar planets'), I have felt my optimism regarding this topic, cautiously grow. Originally, scientists were only able to detect very large planets (gas giants). Now they can even detect rocky ones like Earth (isn't that just astounding?!) So it seems that planets are looking very common indeed, with most star systems boasting at least one. This alone is staggering knowledge. The wonder of science! If we can increase the sensitivity of our detecting methods and are able to identify those that may contain liquid water, then that would really be something! I'm sure it's going to happen too since the sensitivity and delicacy of the methods which are used to do this are constantly improving. I think that at the time of writing this, we have already identified over 1,000 extrasolar planets. What a buzz!